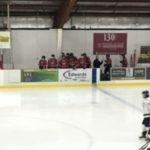 Kingsford, MI – December 21, 2017 – The Marquette Redmen hockey team fell to the Kingsford Flivvers by a score of 3-2 on Thursday night, in a game that was broadcast live on Fox Sports Marquette 105.1-99.9 and online at foxsportsmarquette.com. The Redmen, who were 4-3 on the season coming into the game, were unable to get the win against their conference foes. Both teams had their share of chances in the first period, but thanks to the outstanding play of both goaltenders, the score remained knotted at zero for almost the entire period. 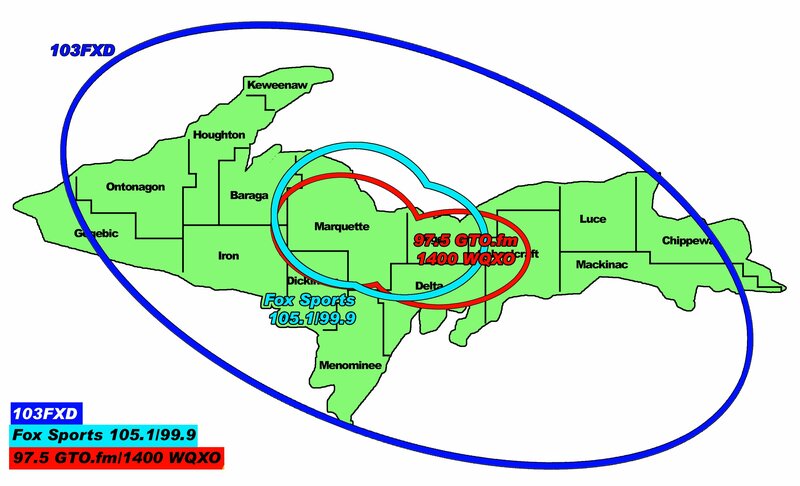 Powerplay opportunities presented themselves to each team, but neither was able to capitalize. 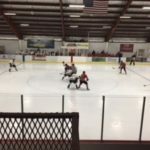 It looked as though the period would end in a 0-0 deadlock, but with just three seconds remaining on the clock, Sean O’Connor caught a pass from Joey Phillips and put the puck in the net. Thanks to O’Connor, the Redmen came out of the first period with a 1-0 lead. The Redmen wasted no time in the second period, as Joey Phillips scored early off of a pass from his cousin Tanner Phillips. Marquette didn’t let off the gas, as they kept pumping shots on the Kingsford net. Trevor Anderson, the Flivvers’ goaltender, was able to stop all of these efforts, however, and the score remained 2-0. 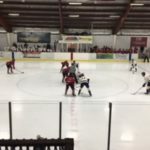 Kingsford answered Marquette’s offensive play halfway through the period when Daunte Fortner beat Dylan Sibilsky and brought the Flivvers back to within one goal. Just a few minutes later, Reece Fortner added another Kingsford marker and tied the game at two goals apiece. 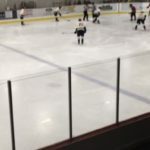 With just under two minutes to play in the second period, Kingsford’s Colin Watkins scored a powerplay goal and put the Flivvers ahead for the first time in the game. Going into the final period of regulation, the score stood at 3-2 in favor of Kingsford. 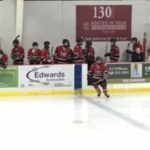 The game remained a close one in the third period, with the Kingsford Flivvers defending well against an offensive onslaught from the Marquette Redmen. 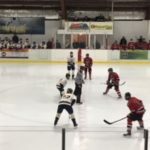 With about six minutes to go in the period, Marquette’s Tanner Phillips was given a major penalty for checking from behind and ejected from the game, putting his team a man short for nearly the remainder of the game. 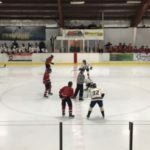 The Redmen were able to successfully kill off the penalty time, but couldn’t muster a goal in the final minute of play, and the Kingsford Flivvers came out the victors by a score of 3-2. 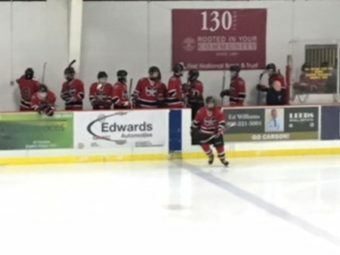 The Marquette Redmen fall to 4-4 on the season, and will head to Calumet on Saturday, December 23rd, when they will face off against the Calumet Copper Kings. 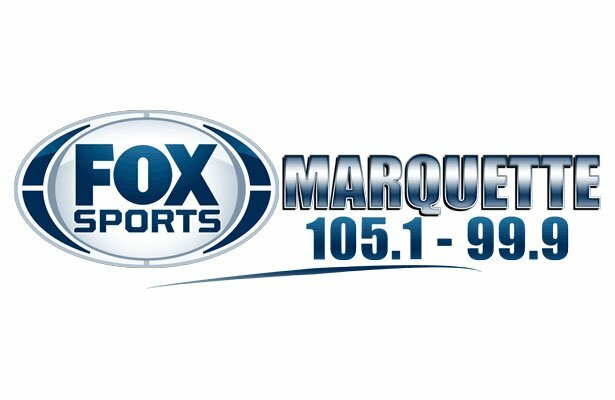 The puck will drop on that game at 7:00, and you can listen live on Fox Sports Marquette 105.1-99.9 or online at foxsportsmarquette.com.